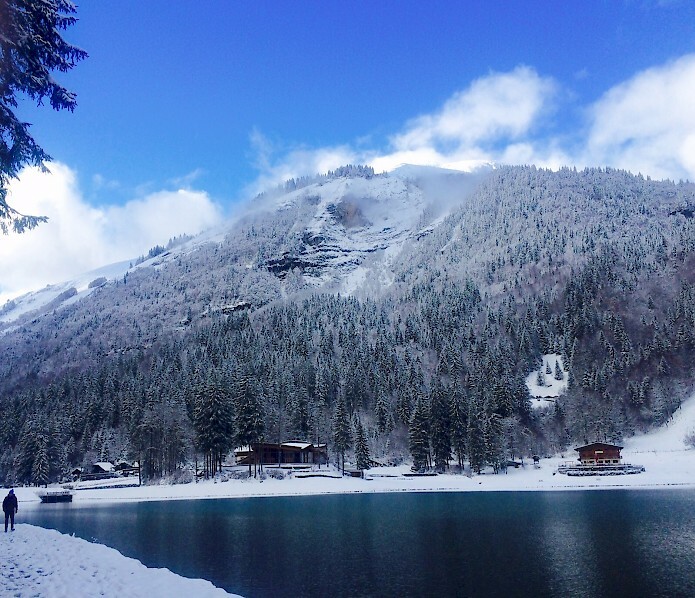 #SorryNotSorry – some pictures of snowy Morzine! 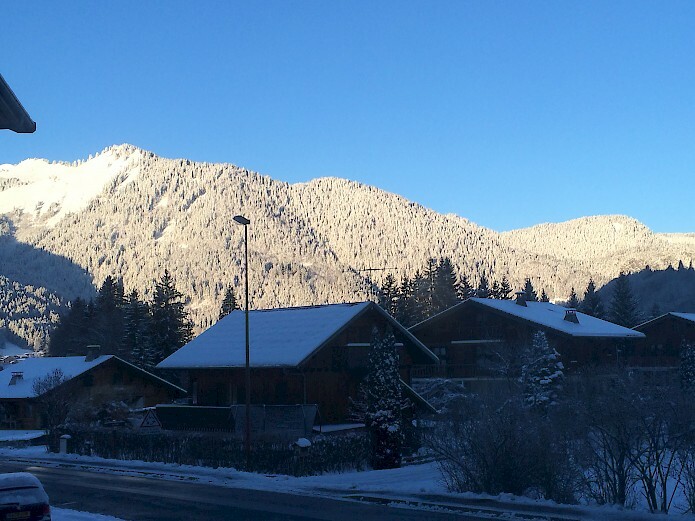 Monday’s are a complete pleasure when you wake up to blue skies, white mountains and what we like to call cottonwool tree’s here at the Mountain Mavericks HQ! 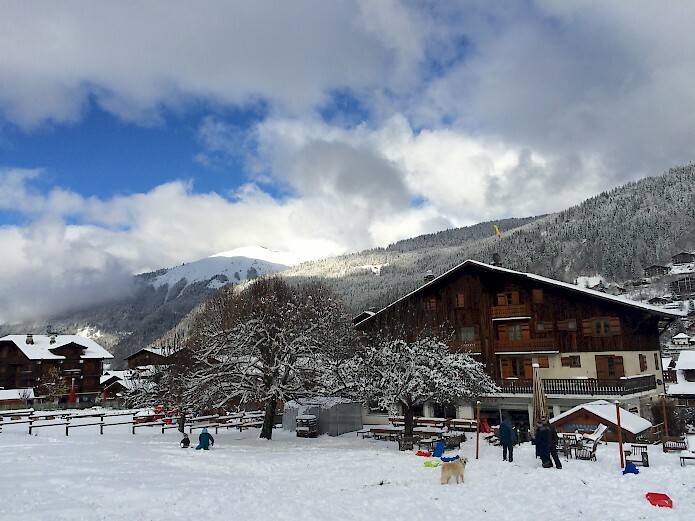 Today has been a great start to the winter season – with heavy snowfall almost continuously throughout the weekend and temperature droping to well below 0 meaning the conditions have stayed perfect for mountain enthusiasts. 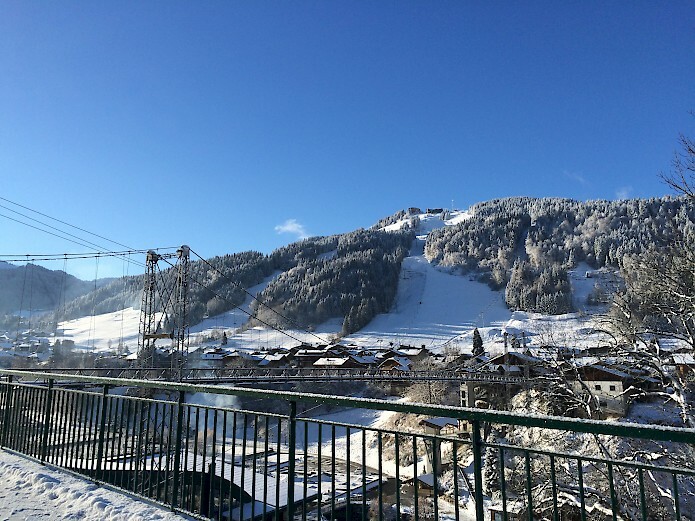 The Portes du Soleil has now had the perfect base for the winter season, and with the cold temperatures providing a nice layer the snowfall predicted from Wednesday until next weekend is set to create perfect conditions for skiers and boarders heading for a pre-Christmas ski. Have a look at the pictures below if you need some Monday inspiration. 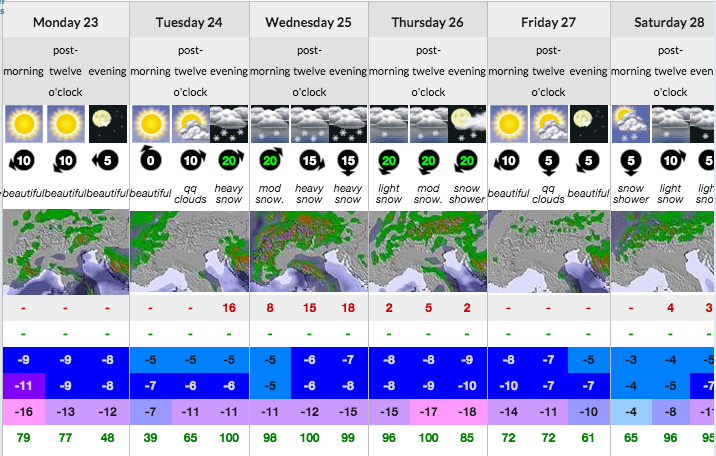 The snow forecast for Morzine is at the bottom – we can’t wait! 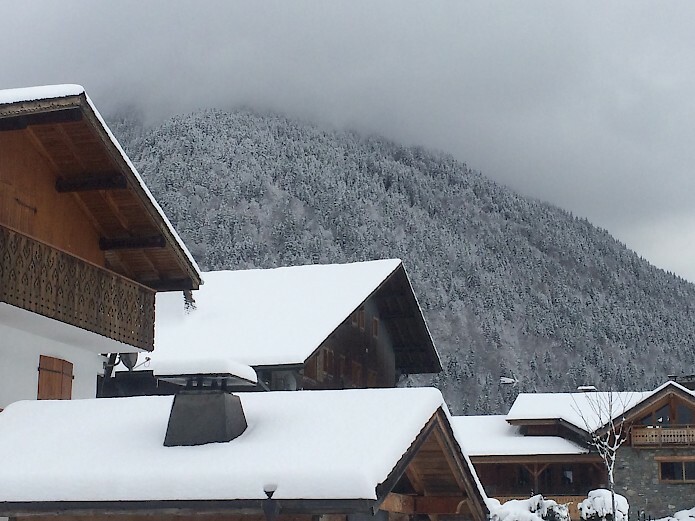 If your interested in our final early season deals see our blog Mountain Mavericks chalets & L’Aubergade Hotel Early Season Deal – Just £60 per person per night catered and get in touch with thechalet@mountainmavericks.com to bag yourself some early season riding on quiet slopes! 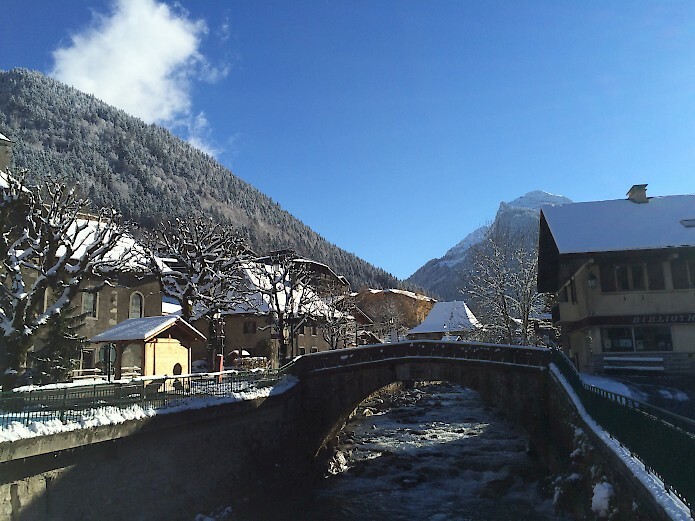 Previous: The mountains are turning white. 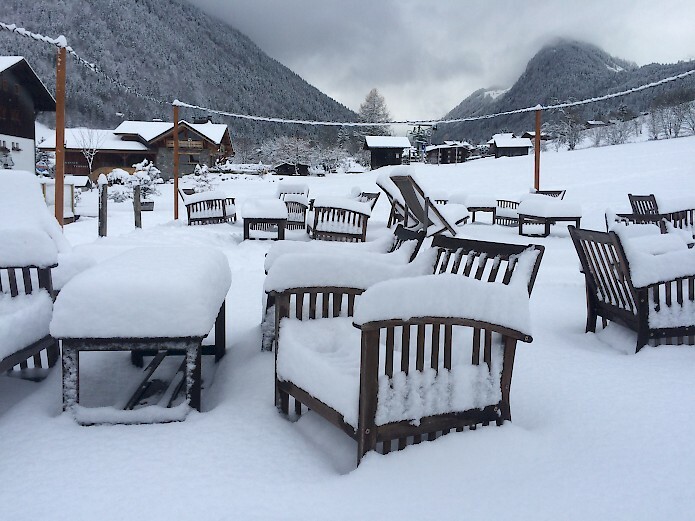 Who’s up for some skiing? Next: Mini Mavericks Tips: How to make homemade playdough!